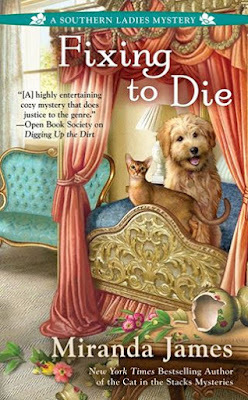 This is the second book in the Cat Latimer series in this one another writing retreat is happening, so we have to wait to learn more about what happened with Cat's ex-husband who died and in the last book we learned her may have been murdered. In this one she is working with new authors taking them skiing hoping the side trip will awaking the writer in all of them what she didn't count is one of them hooking up with a local whose engaged to someone else. When Cat tries to intervene the writer in question gets very upset with Cat. The local college who Cat has contracted with has decided unless she can produce the contract and it's legal that the local college won't allow speakers to speak at the retreat unless she pays the speaker fee. When a local man winds up dead and one of Cat's retreaters is found to be the last one with him, it's up to Cat to find out what is going on. Who wanted Tommy killed and why? Was it his fiancée he was going to marry or her father for making a fool of his daughter or could it have been the writer who he flirted with that wanted nothing to do with him once Tommy told her what he was really after? I am such a huge fan of Lynn Cahoon's writing style I loved every book she's written so far and this one didn't disappoint. It was full of ups and downs and wondering where Cat would wind up next and what she would learn whether it be about her ex-husband Michael or someone close to the current mystery going on. I can't wait to see what is next for Ms. Cahoon her characters remind me of good friends you get to catch up with once the next book is out. 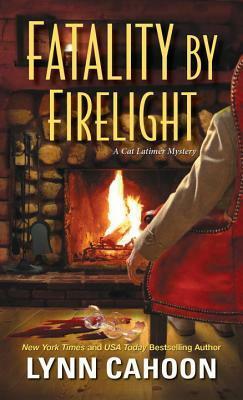 I look forward to reading all about Cat's latest adventures and mysteries she has to figure out! Lynn Cahoon is the author of the NYT and USA Today best-selling Tourist Trap cozy mystery series. “So how long have you been an artist?” Milo asked. “That’s not what I asked.” His voice was light. “You can see it right now if you want,” she tried to shrug it off as nonchalant, but her stomach twisted in knots. She grabbed her bag and pulled out her sketchbook. Opening it to the drawing, she handed it to him. He searched through the other pictures without asking and stopped at one before she could get it back. She turned her head away, staring at a painting of a brown coffee mug on an ivory background hanging on the wall of the coffee shop. She knew exactly which portrait he stopped at. She’d forgotten about that one. “I’m sorry. I’ll throw it out.” Her stomach fluttered wildly. “Why?” She faced him, confused. “I’m . . . glad?” She suddenly found the table interesting. Last night, Myka had been alone in her dorm room while Olivia was out with friends. She didn’t want to run into Preston again after the incident in the gym with Milo, so after she’d finished her homework, she pulled out her sketchbook and drew what was on her mind. Milo. In the picture, he didn’t look angry, but he wasn’t smiling either. He was more thoughtful and concerned; the same look he always wore. He handed the book back to her. “I’ll give it to you when we get back to school,” she said, slipping the sketchbook into her bag. She checked her phone while she had her hands in her bag. Preston had sent her a message, but she didn’t reply. “Is everything all right?” Milo asked. Milo nodded, but his eyebrows knit together. “Don’t worry. I won’t tell him,” she said. Myka wasn’t keeping this secret from Preston solely for Milo’s sake. She had a feeling it would be a lot better—and safer—to hide this from Preston. They fell into an awkward silence as her phone continued to sound in her purse. Milo said, “He’s relentless.” His eyebrows formed an even deeper line as they drew in together. Was he angry that he was texting her? She wasn’t sure why he would be unless he was jealous of Preston. But he had nothing to be jealous of. What should have made him angry, like it did her, was the fact that he was so possessive. She turned off her phone. He shouldn’t be so possessive of her. She didn’t like him acting that way, and it was beginning to anger her. “I’ll deal with him later.” She didn’t want to ruin a perfectly good evening with Milo simply because Preston was blowing up her phone. He could deal without talking to her for a while. It wasn’t even like they were dating. He didn’t own her. “I am.” They threw away their paper cups and plates then headed outside, turning left. Milo held out his arm for her, and Myka looped hers through his. They walked arm in arm down Main Street, looking into the store windows. “Can I ask you a question?” Myka said. 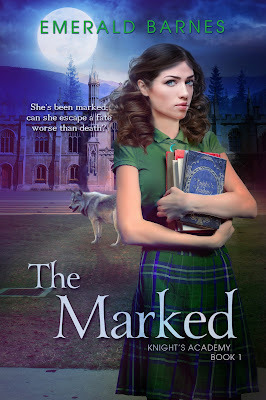 “Won’t you get in trouble for jumping the wall at school, or since you’re in good with Headmaster Knight, can you get away with it?” Myka hoped her voice was light enough for him to figure out she was joking about the last part. She was still curious to know the answer, though. Milo fell silent, a contemplative look overcame his face, and Myka wondered just what he was running from. But sometimes you didn’t need an excuse to run away and hide from life. She could relate. He was different than when she’d first met him. She thought he was this broody jerk, and although he was still broody, he wasn’t a jerk. She couldn’t explain it, but she might be able to relate to him more than she first thought. “Do you miss that?” he asked. He fell silent again, and Myka knew that was the end of the story. At least for now. He opened the door for her, and she walked inside. The cool air felt good on her skin, and an apple pie candle burned on the counter a young woman leaned against. “If you need any help, let me know,” she said in a heavy, Southern accent. She supposed Milo would be bored with shopping, but she found the store quite charming. There were lots of brightly-colored clothes, purses, and big jewelry Olivia would love. She walked to the jewelry first and browsed through it. She could hear Milo’s quiet breathing behind her. “I didn’t figure you for a jewelry type of girl,” he said playfully. “I’m usually not,” she answered with a nervous laugh. She looked at the necklaces; one, in particular, caught her eye. A silver necklace with a large turquoise crescent moon charm hung on the shelf. Myka held the cool stone between her thumb and index finger, admiring it. “Do you like it?” Milo asked. “It’s beautiful, fitting,” Milo said, inching closer to her. As he moved behind her, the heat of Milo’s body warmed her, along with the whisper of breath against her ear. Her stomach fluttered, and she took in a deep breath. He reached for the necklace, and his fingers brushed hers as he took it in his hand. She let her hand linger before she pulled it away. She turned to face him as he watched her every move. She leaned closer to him, and he inched closer to her. She wanted to kiss him, to feel his hands on her, and to taste his lips. Myka backed away and bumped into a rack of clothing. She turned around and walked across the store to the purses and looked through them, regretting not kissing Milo when she had the chance. Embarrassed didn’t even touch how she felt about what had just happened. There was no reason why she had pulled away from him. She wanted to kiss him, but when he was close to her, she freaked out. Milo walked up behind her, keeping his distance. She had just succeeded in pushing him away. Yep. She was an idiot. Publisher: Mike Byrnes and Associates, Inc. 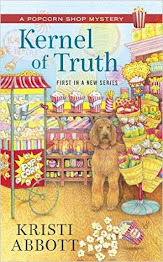 This book follows Candy Wadsen who works at the Sugarloaf Inn. 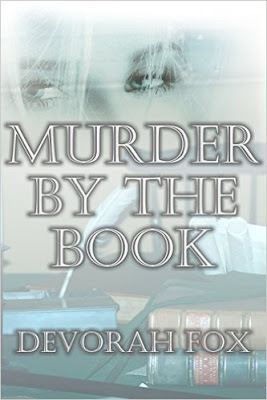 When Candy goes into work she discovers her boss Mr. Sleink has been murdered with a letter opener that he collected. The Sergeant Dan Petrowski is quick to place blame on Candy. Candy knows from reading many mysteries that the suspect is always quick to assert their innocence regardless of the truth. Did Candy really kill her boss and why? Or was it someone Mr. Sleink upset in some way? Will Candy find out the truth or will the Sergeant have her convicted before the real killer makes their presence known? This was a cute novella and in it we meet Candy her boss and the Sergeant in charge of the case. This book takes place in Massachusetts which is always fun to head to a New England town. Then there is learning about Candy's co-workers and the possibility that one of them is the murderer. There are no shortage of possibilities especially with all the co-workers pointing fingers at one another. 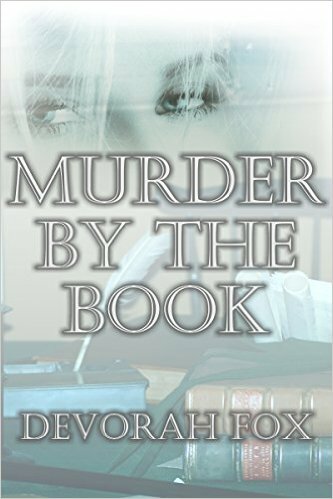 Will Detective Dan figure it out in time or will the murderer go free? This book was a lot of fun can't wait to see what is next by this author. "What if?" Those two words all too easily send Devorah Fox spinning into flights of fancy. 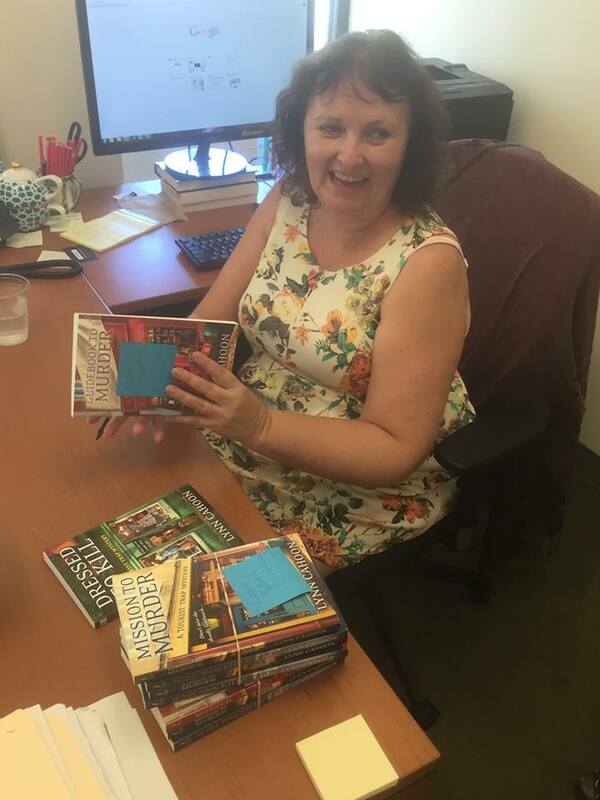 Best-selling author of an award-winning literary historical fantasy series and several thrillers, she also penned Mystery Mini Short Reads and contributed short stories to popular fantasy anthologies. Born in Brooklyn, New York, she now lives on the Texas Gulf Coast with rescued tabby cats ... and a dragon named Inky. 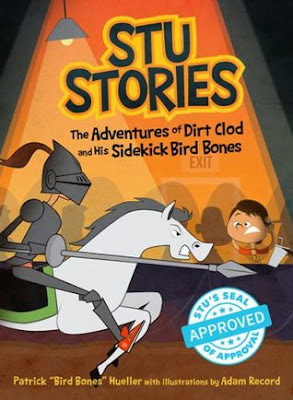 This book follows Stu Sanderson and his best friend Bird Bones as they travel through 8th grade with their ups and downs that they travel together, anything from Stu missing in class to battling kidnppers in school and so on. I loved this book it was cute and reminded me of so many books I read when I was a kid. I think adults and kids alike with love the story along with the antics that went along with 8th grade. Definitely a great trip down the ins and outs of school and things kids will do. 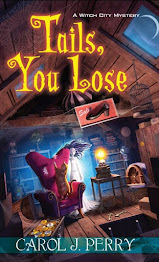 a cover reveal from the wonderful Miranda James with her newest cover for Southern Ladies Mystery series! I am so looking forward to reading this one! What do you think of this series? Have you tried it yet and if you have do you enjoy it? This book follows Anna Dahlberg who use to eat dinner under the famous portrait of Eva Braun which her father acquired after the war ended. 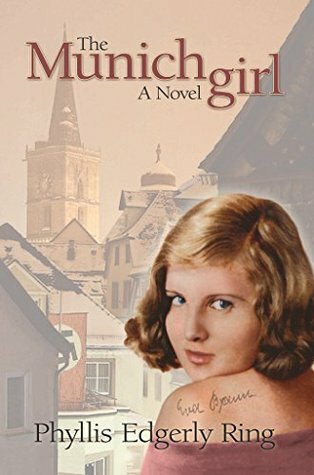 What Anna didn't realize was the connection between Anna's mother Peggy and Eva Braun. When she works with Hannes Ritter at the magazine he encourages her to do papers on women and more specifically Eva Braun the girl who become Adolph Hitler's wife for about 40 hours until they both committed suicide at the end of the war. As Anna learns more about the lives of these two women she also learns things about her husband she didn't know. Things he was doing that he shouldn't have been and how little he cared about her. This book was such a journey between the past and present. We learn so much about Anna and those she deals with. Anna also learns things about her mother she didn't know about. This book travels from New England to Germany where the story ends. I really enjoyed this story of three women and changes they dealt with. Definitely a great book and I would recommend it to anyone who loves learning about women during World War II! 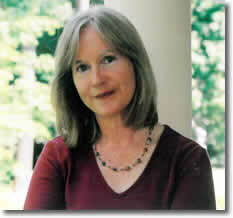 Author Phyllis Edgerly Ring lives in New England and returns as often as she can to her childhood home in Germany. Her years there left her with a deep desire to understand the experience of Germans during the Second World War. 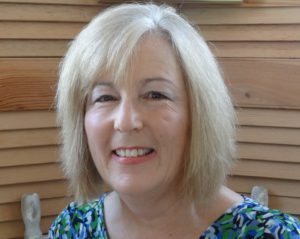 She has studied plant sciences and ecology, worked as a nurse, been a magazine writer and editor, taught English to kindergartners in China, and served as program director at a Baha’i conference center in Maine.